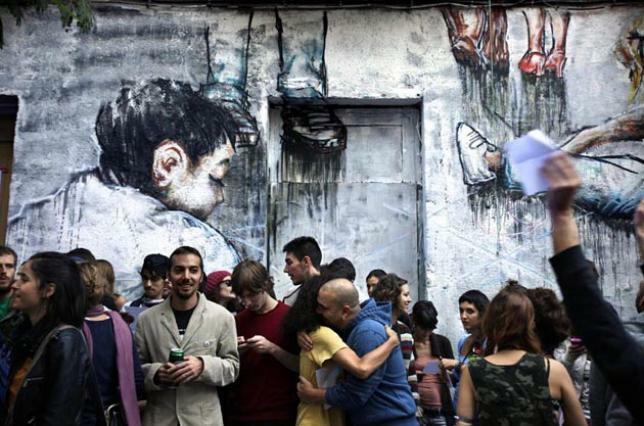 The recovery of abandoned buildings to be used as social centres soars in Madrid. We talk to some of the activists of these new “free centres”. Casablanca social centre / Photo: Olmo Calvo. After the occupation of the Puerta del Sol during June 2011 and the initiatives of the 15M movement focused in the neighbourhoods, the occupation of abandoned buildings to be used as headquarters for social initiatives has soared in Madrid. Despite the continuous evictions, the number of “social buildings” has increased during this time from 10 to 18. These kind of initiatives have emerged in both humble and affluent neighbourhoods such as Usera and Salamanca. Some time ago activists occupied a building La Osera in Usera, a working class neighbourhood. After 7 months of intense activity the activists were evicted from the building last July. In another example, the Salamanquesa project (which ended last May due to another eviction) developed in the affluent neighbourhood Salamanca. However, the project is still alive since a new building was opened up in Moratalaz in November. “Now we find that the local people are much more involved in our activities”, said Silvia, one of the occupiers of an abandoned public school. This centre has large sport courts, kitchens and a canteen that has already been used as a conference centre. Such infrastructure is rare in the social centres in Madrid. The local meetings of the 15M assembly take place in this new building, something that was not possible in the former one. “This is a sign of the commitment of the people to the centre. In addition, a lot of kids use it, and I do not believe this is just because it was a school in the past”, Silvia says. The social centre La Morada opened in Chamberi in late September following an initiative started by the 15M assembly of the neighbourhood. Although some of the activists had a pre-15M militant background (mostly the middle-aged), many of them were young militants who started their activism during the protest in May 2011. Remarkably, Chamberi is an upper middle class neighbourhood which generally follows the most conservative policies. In fact, the Partido Popular (right wing parliamentary party) obtained 62% of the votes in the neighbourhood in the last election. Obviously, this is the first self-managed social centre in the district. Julia, who used to participate in the assembly at the Casablanca social centre in the Lavapiés neighborhood (evicted last September), states that “social centres existed before the 15M movement made them meeting points for working groups and the various assemblies that grow from such mobilisations”. This has provoked “a change in the profile of those that are now using social centres. Maybe this has opened the way for a new kind of social centre, much more open and inclusive. With less prejudices and less decisions taken a prori, there now exists a peoples movement in which the social centres are trying to participate, leading to a necessity for them to become more flexible and listen more”. La Morada social centre / Photo: Álvaro Minguito. Jota, one of those that participated in Hotel Madrid thinks that the opening created by the mobilisations on the 15th October 2011 from the abandoned hotel “served to jump-start multiple occupations which allowed for the establishment of social centres in other neighbourhoods”. In reference to the relation between the 15M movement and the social centres, he comments that both “have influenced each other reciprocally. The camp occupation of Sol (center of Madrid), made many of the principals (of occupied social centres) its own and thereafter the 15M has itself impacted on the dynamic of these centres and in the concept of occupation itself. Due to the movement, a whole sector of society that was not previously familiar with activism and militancy has now assumed these traits”. This activist stresses “an inclusive nature, media potential and the recuperation of public spaces as places of political participations” as the principal contributions of the movement. “With them, the social centres have been converted into an extension of the plaza”, he affirms. Over the last few months a new space has emerged in Madrid called the Support Network for Social Centres. According to one of its participants, Álvaro, it involves“a bringing together of some of the social centres, based upon the acknowledgement of the diversity and autonomy of each social centre through, for example, the rejection of any all-embracing formula, such as a coordinating committee or a single communal positioning on issues”. At the moment, besides sharing experiences to resolve common problems, the network wants to work towards participatory research that highlights the role of the social centres in the transformation of the city. Being an activity which is categorized as a crime in the Criminal Code since 1995, evictions and maintaining continuity of projects always pose a problem. Alvaro believes that “despite the fact that a social centre is being evicted almost every month, the number of them stays the same as others emerge. We have a double course of action in the network: dealing with the maintenance of the projects beyond the evictions and creating the conditions for the emergence of even more spaces”. He concludes that “there may even come the day when decreeing an eviction will be an unpopular measure and it will have a political cost ”. Threats from the Government delegate of Madrid have already translated into action on the ground: two social centres have been evicted in the last twenty days. On the 8th November, it was the turn of the Centro Social Okupado (Squat-CSO in the Spanish abbreviation) "16.0" in Malasaña (a neighbourhood in Madrid) and, on the 28th of the same month, CSO La Gotera in Leganés - a southwestern neighbourhood, 11 kilometres from Puerta del Sol, Madrid - was removed. Another of the veteran spaces within the social centre community in Madrid, La Traba, opened in 2007, announced at the end of November that had been summoned to appear at civil trial, which would take place the 10th of December. Unable to collect the 60.000 € expenses to appear at court, the assembly decided not to attend and instead to accept the imminent eviction warrant. On 12th October, in response to the Casablanca Social centre’s eviction, the same building that had hosted the original project was occupied under the name of Magerit Social Centre. Within hours a large crew of riot police appeared to evacuate the building. Gonzalo, a member of the Casablanca’s assembly, commented: “this quick eviction was a heavy blow for those who were intending to continue with the project”. In spite of these events, on the 17th of November, an announcement was made that a new building located in the Calle Mesón de Paredes had been taken (a property of the recently bailed-out entity Bankia). With major restoration works ahead, as Gonzalo also says, on this occasion the project will be carried out under the name of Raíces (Roots). 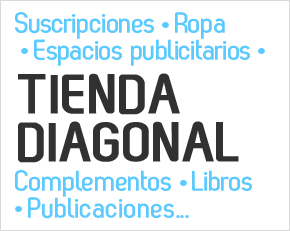 DIAGONAL is a grassroots communication project based in Madrid. We print a biweekly newspaper and run this website with daily updates. We only accept adds from social collectives (cooperatives, non-profit or kindred associations) and exist thanks to a large base of suscriptors that collaborate with us. If you would like to help with translations or editorial suggestions, please contact english [at] diagonalperiodico.net.